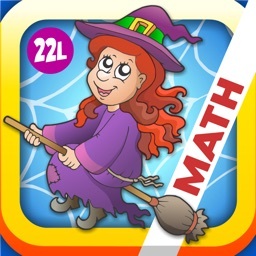 Basic Math with Mathaliens for Kids by CFC s.r.o. * Featured in New and Noteworthy and What's Hot! Learning basic math has never been more fun. 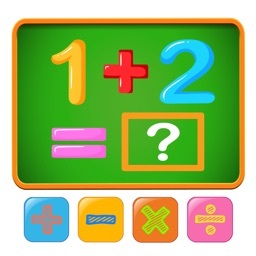 You will love to see your children making progress in their arithmetic skills while being entertained. 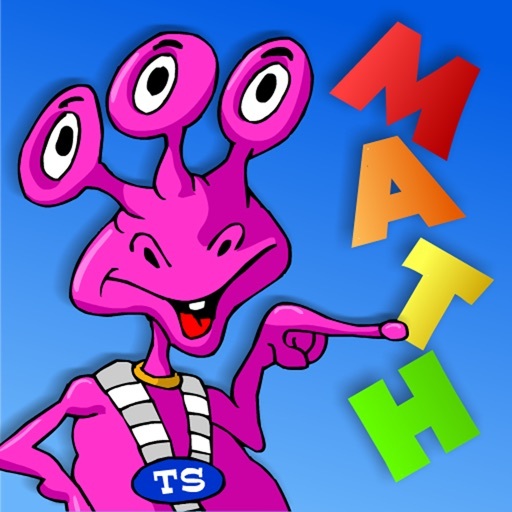 Math with Mathaliens is an ideal way to master it all – Addition, Subtraction, Multiplication, Division – with no pain in no time. 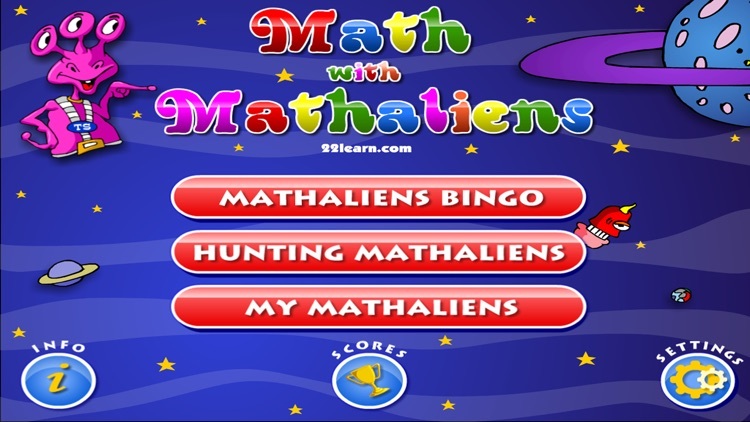 Math with Mathaliens features two basic game types – Mathaliens Bingo and Hunting Mathaliens. Both of these games are designed with kids in mind. They are very simple to use with no time-consuming settings and no confusing interfaces. Just a few clicks and the rewarding learning experience can begin. 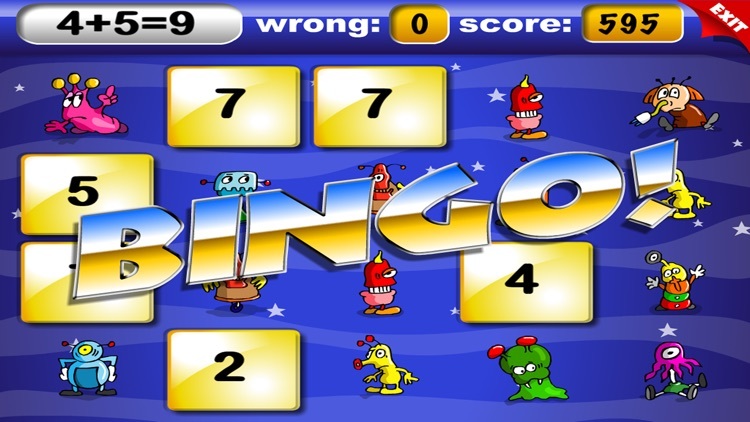 In Mathaliens Bingo, the aim is to create either horizontal or vertical pattern of Mathaliens. This can be done by matching correct answers to math questions with numbers displayed on twenty cards. 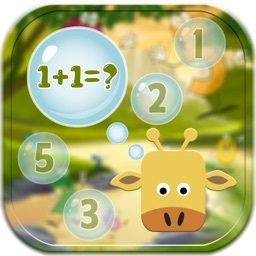 In Addition and Subtraction, the difficulty levels correspond to numbers in range of 0-10 (Easy), 0-20 (Medium), and 0-100 (Hard). In Multiplication and Division, these levels correspond to multiplying and dividing by 1-5 (Easy), 1-10 (Medium), and 11-20 (Hard). 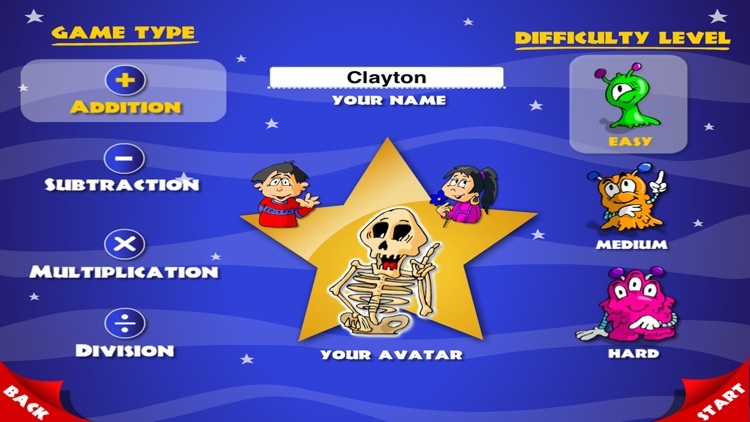 During the game, children are kept motivated by the desire to improve their best scores in all of the four areas at the hardest possible level. Immediate feedback on whether their answer was correct or incorrect enhances learning. Hunting Mathaliens is a fun game consisting of five levels. The possible modifications to the game are the same as in the Bingo. The object is to get through all five levels. 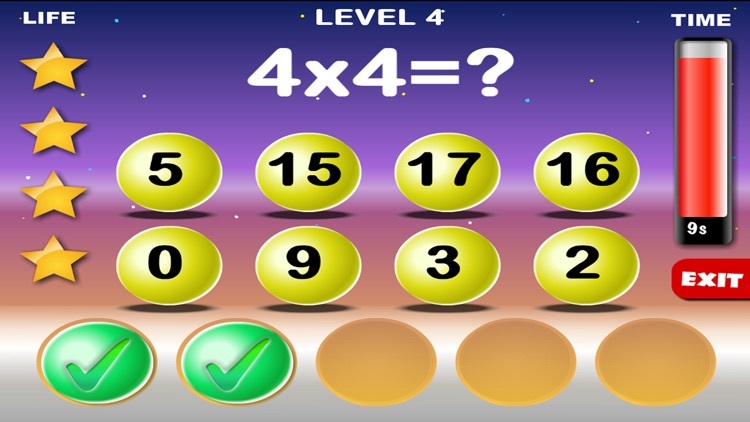 Each subsequent level gets more difficult as more answer choices are displayed and maximum time to select the correct answer gets shorter (the shortest time can be selected in the Settings). 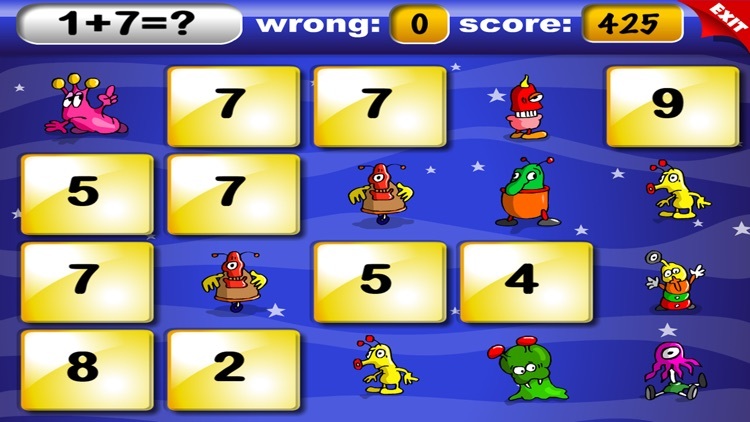 After finishing all five levels, children are rewarded with a new lovely Mathalien creature. All Mathaliens are animated and a child can collect them in his or her gallery.